It is somehow Africans’ fault that 80% of Beira was completely destroyed. The death toll in Moz is over 400 per the Land and Environment Minister, 700 across the affected countries (Moz, Zim, Malawi). Natural hazards aren’t necessarily disasters even if widely destructive: disasters are produced through negligence, manmade vulnerability and susceptibility to harm, deprivation of relief resources, etc. Africa, though, is both hazard and disaster. @thomas_m_wilson The pace of an airlines expansion isn't a factor or a question for crash investigators or international aviation regulatory bodies. It's irrelevant to the investigation process, especially with an airline that has a good safety record, if at all. @thomas_m_wilson Would this be part of an article on the FlyDubai or Lion Air crashes? Both of these airlines are undergoing a more rapid and larger fleet expansion than Ethiopian Airlines. 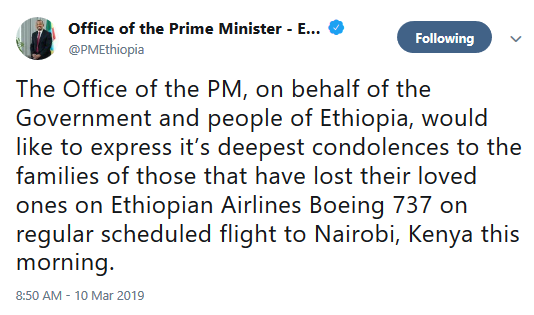 #Ethiopia: @PMEthiopia indicates there has been a plane crash involving @flyethiopian "Boeing 737 on regular scheduled flight to Nairobi, Kenya this morning." The office extended it’s condolences to the families who lost their lives. But, there is no corresponding info as of yet. Update: It's confirmed. The aircraft B-737-800MAX with registration number ET- AVJ took off at 08:38 am local time from AA, Bole Intl Airport & lost contact at 08:44am. It crashed around Bishoftu. It has 149 passengers & 8 crew members. 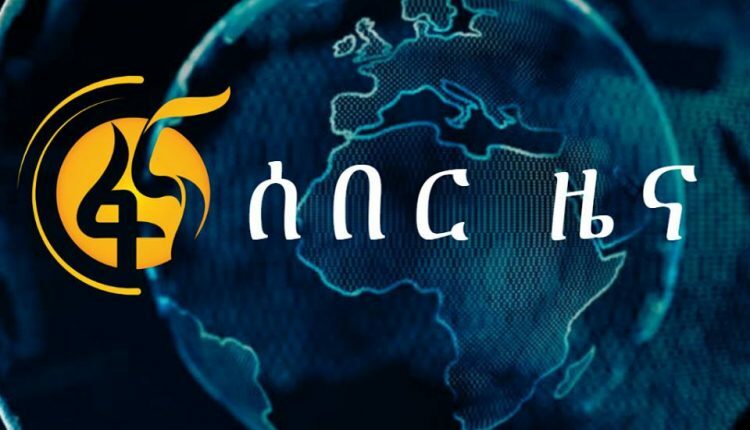 fanabc.com/english/2019/0… (Pic: Profile). And probably no other state has the political will or pocketbook to initiate this legal action. Last week, California Attorney General Xavier Becerra promised "to reject this foolish proposal in court the moment it touches the ground." theatlantic.com/ideas/archive/… It really is remarkable that the president spouts Putin’s propaganda, and everyone shrugs because it’s not news that he’s Putin’s puppet. Sure, there’s still work that needs to be done *proving* it, but that Putin owns him is not controversial anymore. If you want to know what life under a puppet government is like, I suppose that’s it: The official line is the president is a democratic leader, but everyone just knows that he’s actually being controlled by a foreign power. Also worth pausing to note that the same people who made 1984’s Red Dawn a big hit would now greet a Russian invasion by waving Russian flags and cheering their new leader Putin, with Trump at his side, in the streets. how our desire for worshipfulness conscripts us to hide or minimize their sins and shadows - or on the other hand to become so enraged and disappointed that we eradicate notions that may still have value. It is very hard to acknowledge that value can live side by side with damage and destructiveness - that we are all and each a mess of good and evil, creation and destruction.